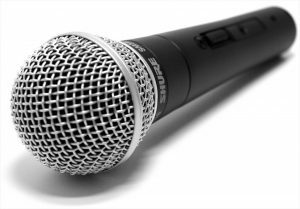 Choosing a quality microphone – this is not a trivial task, which can successfully be solved thanks to a scrupulous study and a detailed comparison of the main varieties of the microphones, their characteristics, and functional features. To determine exactly what kind of the microphone you need, you must clearly define your goals and objectives. From the purposes for which you need a microphone (e.g., for stereo recording, for recording vocals or musical instruments) will depend the fact on which model you will finally focus. 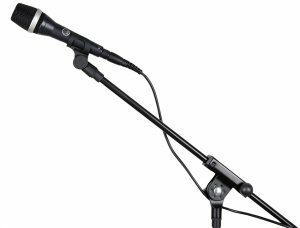 On this website, you can find different types of the microphones, their characteristics, advantages, and drawbacks. Here are the microphones which are well-known of expensive brands, as well as budget variants that will be affordable for everyone! SHURE WL184 is a super-cardioid lavalier microphone for a radio system. The brand SHURE has been manufacturing high-quality transmission and reception of audio and radio for a long time. The manufacturer pays special attention to the microphones, creating professional vocal studio models and products for conferences of compact appearance. This model belongs to the category of lavalier microphones for the radio system. Black color, a convenient streamlined body, high-performance- all of these factors are combined in the successful model microphone SHURE – WL184. The kit also includes a long cable, which allows you to use the system more comfortably. Only the best quality without loss of signal and distortion from SHURE. Frequency response: 50 Hz – 17 kHz. Dynamic range (typical): 102 dB. S / N ratio: 27 dB SPL (A-weighted). Max. level of input: 129.5 dB. Power requirements: adjustable nominal + 5V DC (2 post to 10V DC). 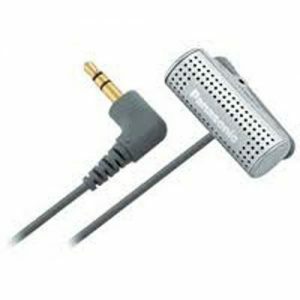 The lenth of a cable: 1.2 m.
AKG CK97CL – this is a condenser lavalier microphone, has a cardioid pattern, designed specifically for the use in noisy places such as lecture halls, surveys, public speaking, theater, etc. For greater purity of the transmitted voice the microphone is equipped with a windscreen, also sound reinforcement technology is involved in order to feedback occurrence (gain before feedback, GBF) for the maximum prevention of reflected sounds in the microphone. The miniature size allows AKG CK97CL to be discreetly mounted on any clothing, but the risk of damaging it in the case of falling is minimized thanks to the robust metal housing and a robust clip. AKG CK97CL is connected to the transmitter using a three-pronged mini-XLR connector. 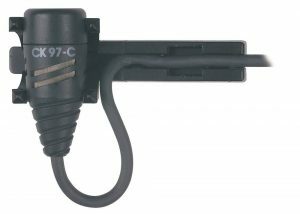 As the transmitter models from AKG or other companies that have an input mini-XLR connector can be used. The kit comes with a microphone windscreen for a clear transmission of sound, two clips for securing to the clothes and a protective carrying case. Mini-XLR 3-pin connector to connect to a handheld wireless transmitters of AKG. The opening angle is 125 °. Frequency range: 150 to 18,000 Hz. Sensitivity: 40 mV / Pa.
Signal to noise ratio: 66 dB-A. Color finish: matt dark gray. 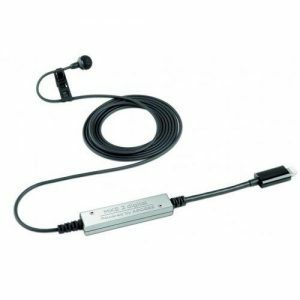 SHURE SM11-CN is a dynamic lavalier microphone which has a very small size. Excellent sound transmission, which guarantees the world-renowned manufacturer, has been proven through the use of the device for various purposes during production testing. Despite the small dimensions, SHURE SM11-CN has shown very strong unit, and the reliability and ease of using are typical features of all the elements and components of the device. The main features of this microphone – the presence of fastening pins and the capability of fastening the device to a tie. During the practical test, the microphone perfectly manifested itself both in terms of the work on radio and television, and in the course of the postproduction during the game in acoustic guitars, banjos, and violins. Transfer frequencies ranging from 50 Hz to 15 kHz. 150 Ohm of output impedance. Output level: -85 dB (0.06 mV). RODE PinMic – is a lavalier microphone with a unique design. 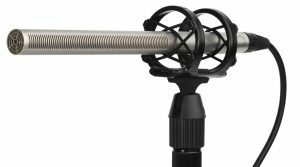 This condenser microphone with omnidirectional directivity, there is a detachable cap and a special adapter MiCon. 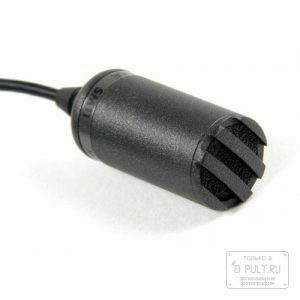 New microphone-pin Rode PinMic is equipped with a detachable capsule, which is attached to 3-pin connector on the rear of the microphone, which enables discreet placement of the microphone on any clothing of any fabric. Connectors MiCon ™ product page offers the ability to connect the microphone to a variety of radio systems from different manufacturers: AKG, AudioTechnica, Sennheiser, Shure. Rode PinMic is designed to work on television, on stage or in other situations. RODE PinMic is designed and manufactured in Australia. MKE 2 digital belongs to the digital lavalier microphones. The model is designed specifically for iOS devices and is used for lectures, taped interviews, podcasts, seminars, videos for YouTube or television reports. The manufacturer claims that the microphone is able to provide impressive dynamic and frequency range. In addition, the novelty has excellent transient parameters and withstand a high level of sound pressure, differing with good signal-to-noise ratio. The model is designed for a wide range of practical problems. Supports OS 8.0 and above. For iPad, iPhone or iPod Touch connection is made using a Lightning connector. It refers to the professional and specialized solutions in the field of mobile recording. The omnidirectional microphone is equipped with a condenser capsule. The design of the membrane has a unique umbrella design. Maximum resolution when recording audio up to 96 kHz / 24 bit. It is available to use the headphone jack of the iOS device in order to monitor the record. With the help of smart watches Apple Watch of the model it is suitable to control the basic functions of this application. Can work with MetaRecorder App (software for recording). Right from MetaRecorder software, you can upload the recorded material in the file sharing Dropbox, and then import into Final Cut Pro X. The kit includes a microphone windscreen, a carrying case, and a clip. List of 15 best lavalier microphones. 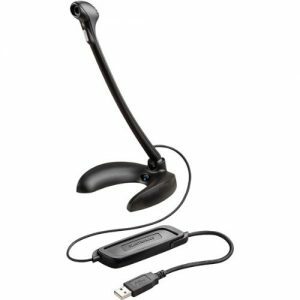 An effective means of communicating with friends and business partners while using Skype or speaking through a video chat can be wired microphone PLANTRONICS Audio 300. It has a modern and comfortable design and is made of black high-impact plastic. An elongated microphone of omnidirectional type is mounted vertically on a horseshoe-stand basis, which can be installed near the keyboard or other suitable place because the length of the connecting wires is 1.9 m and provides a sufficient degree of freedom of placement. To connect the device, use a standard 3.5 mm jack so you can use it with many modern devices. The microphone PLANTRONICS Audio 300 is equipped with an effective system of noise reduction that sends a clear sound quality during communication with the IP-telephony and for recording voice or conferencing. Type of connection: wire 3.5. It does not require еру installation of external drivers. Thanks to additional adjustment it is possible to increase its volume. Over time, the quality of the recording deteriorates. A table microphone MIC-01A is perfect for the use with laptops or computers. It allows you to chat online, record voice presentation or just sound. It rotates through 360 °. The classic design perfectly fits into any interior. Frequency band: 100 Hz – 10,000 Hz. Voice commands, recording of thoughts, live communication with the transmission of sound and image. All these are possible with the help of a computer microphone Logitech Desktop Microphone. Due to the technology of background noise filtering that microphone provides clarity and effectiveness of communication. With its elegant design (this microphone is black color) it looks excellent on the table. The weighted stand allows you to fix the microphone securely on the desktop. 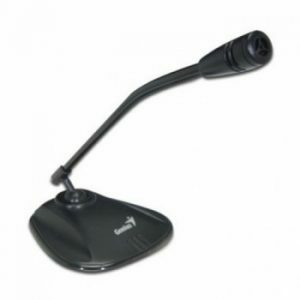 Illuminated on/off button – is not only stylish but also very functional especially for audio conferencing. Independence from the installed sound equipment on a computer allows moving and working with a microphone in any place where there is a free CSS. Scope of a communication network. Frequency range: 100 Hz – 16 kHz. Shielded cable (2.4 m) from the USB-connector. Excellent sensitivity of the microphone (do not need to be very close with the sound recording), it’s very comfortable on Skype and Ip-Telephony. Good ergonomics. The quality of materials and workmanship are not satisfactory. The weighted platform does not allow the microphone to fall. Excellent noise reduction. As a result, we get an excellent, clear sound without nasty hiss in the background. USB connection. No messing around with drivers. Do not depend on the sound card – it works anywhere where there is an USB . Mute button. Do not turn off the microphone and simply lowers the recording volume to zero – it is convenient, does not throw settings. There is an indication – when the microphone is working the lamp lights. The high sensitivity of the microphone. Sometimes it is necessary to lower the sensitivity in the settings of the microphone. Panasonic RP-VC201E-S is a stereo microphone. Panasonic RP-VC201E-S is of a wire type, has 3.5 connector and can be used for the computer and for portable audio recorders. It is the lightweight and compact microphone of a tie clip type, which is designed for devices with a removable power supply Plug-in-power (no batteries required). The material of housing: plastic. The frequency range: 100 Hz – 20,000 Hz. The sound in the stereo is good on the record. 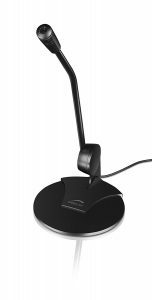 Elegant Speedlink desktop microphone ensures crystal-clear voice transmission during conversations on the Internet, and allows the natural-sounding, without recording distortion. The flexible leg of the microphone can be set at the highest comfort to get the maximum recording quality – thanks to this you will be optimally understood. And if you do not want to be heard, you disconnect the microphone at the touch of a button. Screening of outside noise to ensure clear voice transmission. Ideal for voice chat and excellent voice recording. Reliable support due to a large non-slip leg. Practical switch for rapid muting. Frequency range: 30 Hz – 16,000 Hz. 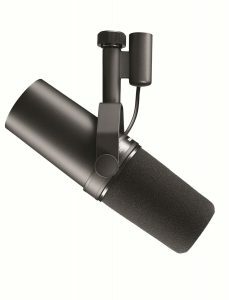 15 Best microphones for computer. iRig Mic is a compact condenser microphone for iPhone/iPod touch/iPad. This device is perfect for high-quality recordings of vocals and can be easily connected directly to the gadget of Apple products. In addition, it is also worth noting that the microphone iRig Mic features a three-level adjustable sensitivity and is harmoniously complemented by an application called VocaLive Free, serving especially for voice processing, and in real-time. With its help, you can add multiple effects to recorded voice. The cable, which is included in the package of the described model, has about 2-meters long, that is why you can to roam with a microphone totally free. The device has a connector used for connecting headphones, all kinds of stereo systems, or the mixing consoles, whereby you can listen to the obtained results in real time. In addition, you can easily apply the IK Multimedia iRig Mic for different purposes: from recording any podcasts and interviews to organizing and recording songs. 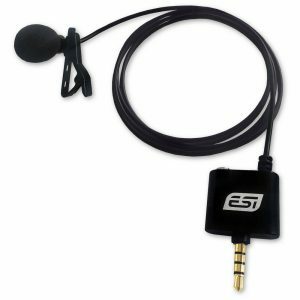 ESI cosMik Lav microphone is for recording interviews, lectures, presentations or podcasts. This miniature condenser lavalier model supports direct connection to mobile gadgets on iOS, providing better sound quality in comparison with the microphone of your iPad or iPhone. Mini jack for connection to a headphone allows you to monitor the recording. TRRS connector with four contacts. The connector is equipped with a long connecting cable. Compact equipment set of ESI cosMik Lav includes a carrying case for transportation and a lapel clothespin. New development of Apogee – MiC is the microphone of dimensions barely more than the iPhone. The device lets you record music at the highest quality level and allows a wide range of sounds – vocals, and percussion, and piano. Tracks can be recorded directly on your device Apple, using a convenient application GarageBand. In the box, you will find the digital microphone Apogee MiC. Lightning meter cable to connect the gadget to your device on iOS. Half-meter cable with 30-pin port, also for connecting gadgets to iOS. Tripod for desktop microphone location. 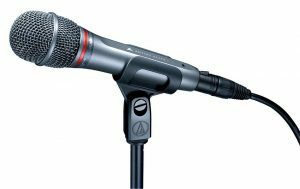 The microphone has the following dimensions: weight is only 181 grams, height: 11.58 cm and width: 3.86 cm. MiC gadget with all its compactness includes three devices at once – the microphone, a mic preamp, and a converter A/D. Details of the microphone are worked out to the smallest detail, in order to minimize the noise effect and allow to achieve the best signal quality, on which only a digital version of the microphone is capable. You can even put the gadget in a jacket pocket, and it will not interfere. MiC model embodies the dreams of many in life and allows you to record music at an incredibly high-quality sound. More than that, this gadget has a stylish appearance, so perfectly combines with the elegant minimalism that is inherent in the latest generation of the devices on iOS. In the microphone a PureDIGITAL technology is implemented, allowing you to create records in the best sound quality. The device allows you to record vocals, speech, musical instruments in the acoustic embodiment. The quality of the created records is remarkable – up to 96 kHz / 24-bit. Compatible with iPhone 5/5S, iPad 4/Air, iPod touch 5 G iiMac. The microphone is equipped with wires Mac USB and 30-pin Lightning. The device does not need to set up and the use of it is simple and convenient. Sound level is controlled by a wheel, and the level of the indicator allows you to configure the microphone correctly. The microphone works with GarageBand application, Logic Pro, and others, which are compatible with Core Audio. The gadget works in digital format; it has a low-noise connection to the preamplifier. If you need the microphone of a condenser type, which would be compatible with the devices on iOS, would have compact dimensions and provide incredible sound quality, the Apogee MiC is what you are looking for. You do not need to use an external adapter. A short length of cable. The handheld microphone for recording stereo sound: do professional video shooting with high-quality sound anywhere! 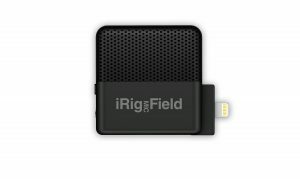 iRig Mic Field – is the microphone, which is able to turn the iPhone or iPad into your professional shooting! Connect the microphone via the lightning-connector, and all the sound starts to be recorded on two high-quality microphones inside this small box. The device uses a number of clever technologies that helps to capture surround stereo sound from virtually anywhere in the room. Whether you are doing a record on another concert or recording rehearsal: you can be sure that the result will be on three heads above what other people are trying to do with the usual built-in microphone. 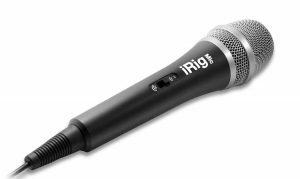 iRig Mic Field uses a high-quality preamp, 24-bit analog-to-digital sound converter and works with the sampling frequency at 48kHz. The device is extremely light and compact: when we say “pocket size”, we mean that you really can carry it in your pocket. The device comes with a proprietary application iRig Recorder, which allows you to remove easily the stereo sound. iRig Mic Field is fully compatible with other similar applications, be it “voice recorder” or GarageBand. Connectors: 3.5 mm mini-jack, Lightning. Frequency response: 40 – 20,000 Hz. Dimensions: 50 x 57.5 x 16 mm. High level of sound pressure. 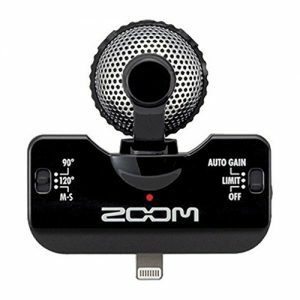 The novelty from the Zoom company – the professional external stereo microphone Zoom iQ5 is capable of providing radically different quality of sound recording on your mobile Apple device! Microphone Zoom iQ5 is compatible with iOS 6.0 operating system and iPhone, iPad, iPod Touch devices. Zoom iQ5 is able to record high-quality sound in two positions: vertical and horizontal, thanks to a rotating central element. It is also equipped with a switch coverage angle – 90 or 120 °, which is very convenient, for example, to record the interview and the concert, respectively. Zoom iQ5 records in uncompressed WAV format with a sampling rate of 44.1 kHz and 16-bit, so you can use the microphone Zoom iQ5 also for professional purposes, as a musician, as well as for high-quality audio recording during video recording. The management of the microphone Zoom iQ5 is done by a special wheel. Also, Zoom iQ5 is equipped with the three-point controller with auto gain and the mode of limited gain. The connection of the microphone occurs via 8-pin port Lightning. The ability to record in uncompressed format. The Lightning connector sticking out of the block. The microphone is designed for a wide application: broadcasting, mobile recording, interviews, podcasts, multimedia applications. Among the advantages of MXL USB.008 manufacturer notes the lack of the need for a mixer, preamp, or expensive studio devices. Microphone MXL USB.008 does not need drivers, to get started just plug it into a USB port. Microphone frequency: 20 – 20000 Hz. RODE PODCASTER – is the dynamic cardioid USB microphone for podcasting, 18-bit 48kHz, 40Hz – 14kHz, 115dB SPL. With the rapid development of podcasting in the world, more and more companies are offering new products, for both beginners and professionals. That is the new product from the professional manufacturer of the microphones RODE Microphones. Podcaster name arose by analogy with the other known Broadcaster model, which is a professional microphone for broadcasting studios. In contrast to the older brother, Podcaster is positioned for podcasting. To connect to a computer there are an integrated USB interface and 5 meter of connection cable. Nevertheless, Podcaster is specifically designed for high quality recording of the narrator voice in the style of a classic microphone for the radio. It designed and manufactured in Australia. Accessories included: USB cable 3m, RM2 holder. Optional accessories: PSA1, PSM-1, WS-2. Dynamical microphone for podcasting with a USB digital output. Frequency range: 40 Hz ~ 14 kHz. Sensivity: -51 DB re 1 Volt/Pascal (2.8 mV @ 94dB SPL) +/- 3 dB. Maximal level of sound pressure: 115 dB. Signal / noise ratio:> 78 dB. 3.5 mm headphone output with volume control. Compatible: with Windows and Mac. The highest studio quality (thanks to a wide frequency range, high-quality strip orientation, dynamic technology). USB connection (which eliminates the interference and noise, as well as expanding the opportunities of the use). Presence knob – volume control. 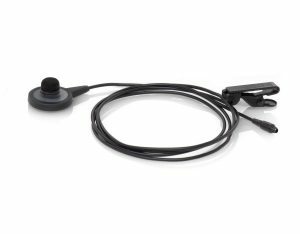 Ability to connect headphones directly into the microphone. The ability to monitor your own voice (hear yourself in the headphones). There is no reception and POP filter, which entails additional costs. SHURE SM7B – is a professional dynamic microphone that is ideal for the use in the recording studio. The microphone is also good for permanent use on television and radio. The studio dynamic microphone from Shure company has a smooth, flat, wideband frequency response. 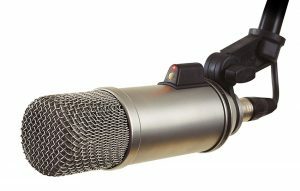 This microphone is ideal for professional voice recordings, podcasting, musical instruments and other sound sources. Handheld vocal microphones of Shure (USA), known throughout the world for their quality and clear sound that accurately convey all the nuances of the voice and vocals. All the products of the American company Shure is known for high-quality and extremely low noise threshold. Due to effective shielding system, the microphone Shure SM7B is protected from exposure of any electromagnetic fields. As a modification of the previously unreleased models of the microphones, SM7B has a better design that ensures high stability. In addition to the standard windshield, the microphone has a protection designed to operate in close proximity. Impeccable design, construction and style from the best manufacturer of the professional stage microphone, the company SHURE. Cutoff switch in several positions: the weakening of the low and mid-frequency gain. Integrated protection of the capsule in the form of pneumatic, shock-resistant and anti-vibration damper. The optimal combination of quality and operating capacity in its class. Maximum low level of sound distortion, even at high SPL. An optional windscreen with a filter protects against the ingress of unwanted noise and breath of wind. Traditionally, the high quality of the microphone assembly guarantees its operation even with constant and daily use. High-quality of the voice or instrument through the use of the high-quality of the components of the microphone. The wide frequency range of audible frequencies in the transmission range of 40 Hz to 16 kHz. Ability to use the microphone in the studio, television or radio broadcasting. Cardioid directivity and noise reduction technology can produce excellent suppression of extraneous and ambient noise. Pure voice and vocal performer on stage and in the studio. The smooth, wideband frequency response. The microphone has a flat, wideband frequency response. This is especially important for the transmission of pure, natural sound voices and musical instruments on stage or in the recording studio. The main body of the microphone has an additional frequency switch. It is intended for correcting the attenuation of low frequency and mid-frequency gain. The microphone has a cardioid, symmetric radiation pattern with a uniform perception of frequencies for maximum reflection of extraneous noise and minimal sound coloration of primary source. The microphone is supplied with a special mounting bracket, which is designed for a comfortable fastening of the microphone. Also, there is the microphone adapter for easy setup of the microphone on a microphone stand or rack. When recording vocals, voice narration, and musical instrument manufacturer recommends the use of a standard windscreen. Optional, additional wind protection (Shure A7WS) can be used while operating of the microphone at a short distance from the sound source. Wind protection is particularly effective where there is the need of maximum protection against respiratory effects and more dense, warm sound. Specification: studio and field use, singing, announcer job, podcasting and broadcasting. Frequency response: 40 Hz -16 kHz. Output level (at 1 kHz): open circuit voltage of -59 dB (1.12 mV), 0 dB = 1 V / Pa.
at 1 kHz: 33 dB. Built-in capsule damper: effective reduction of mechanical noise. Switches: the weakening of the low and mid-frequency gain (Presence Boost and Low-End Rolloff). Cartridge protection: built-in air-proof and anti-vibration damper. Built-in windscreen: the protection of the sound path from the noise, breath and wind. Housing: aluminum, steel, reinforced steel protection net of capsule. Switching connectors: XLR (standard microphone cable). Bracket: with adapter for mounting on a microphone stand (5/8 “” – 27). Electro-voice RE 20 is a dynamic cardioid microphone. RE20 has a larger aperture and is designed primarily for broadcasting and podcasting. Also, in the microphone a Variable-D technology is used. This model is the choice of filmmakers around the world. The microphone is produced by the unique Variable-D technology, which allows almost completely avoid the proximity effect and increase the bass, that are inherent to others cardioid microphones. The microphone has a built-in switchable EQ. Impedance (1 kHz): 150 Ω. Frequency response: 45 – 18,000 Hz. Sensitivity (1 kHz): 1.5 mV / Pascal. Dimensions (L x dia): 217 x 54 mm. It’s hard to imagine the more versatile microphone than the RE20. It can be seen in the TV studio, radio and television channels, on the stage, in the studio. It is used by vocalists, drummers, pianists …. RE20 is the essential microphone in all areas of its use. When turn it on, you realize that it makes no sense to transfer those technologies which it applied, it makes no sense to describe its characteristics and features. And all this because it just sounds! It is the industry standard. Excellent suppression of background noise and echo. Like many other dynamic microphones, it needs a powerful preamp. This is a broadcasting hypercardioid dynamic microphone with a large diaphragm. Audio technica BP40 is the dynamic microphone, which contains rich sound similar to the sound of the condenser microphones. The model is designed for the use on the radio in various purposes, covering direct broadcasting studio, dubbing, post-production, etc. Similar to the supercardioid. It differs from the lastr in that it has a relatively narrow front zone of sensitivity and a wider rear. The hyper cardioid microphone also has two “zero” area. Provide maximum insensitivity to lateral sounds. Provide maximum acoustic isolation: protection against adverse effects of the room, feedback- and background noise. Prevent the leakage of a signal. It helps to maintain a sense of intimacy-sounding voices, including those at a distance from the microphone. The microphone has several layers of internal pop filter, and ensures protection from blowing. For even the best defense against blowing a switchable low pass filter is considered. For additional defense against noise and ripple a hanger AT8484 is still available. It ensures maximum effective implementation of the entire diaphragm area. The microphone is equipped with a voice coil, preventing electrical interference (from video monitors, AC and so on). 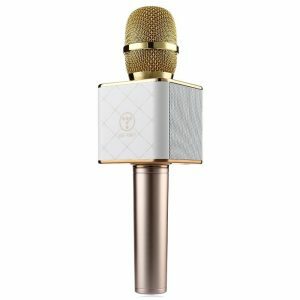 The microphone is made of metal and features high stability to mechanical damage, which is important for the use in professional broadcasting. Trim of the lower frequencies: 100 Hz. Perfectly suppresses background noise and echo. Suitable for home recording of podcasts. Antivibration mount and pop filter are recommended to buy. BEHRINGER XM8500 is a dynamic cardioid vocal microphone. Vocal Microphone XM8500, manufactured by BEHRINGER (Austria) is created for the concert and daily vocal sound and musical instruments. Also, the microphone is good to use on the small concert venues in the home studio. 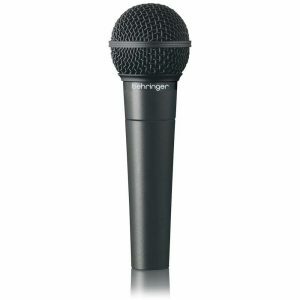 The hand-held vocal microphones of BEHRINGER company are well known in the world for its quality and clear sound, accurately conveying all the nuances of the voice and vocals. The microphone has a cardioid polar pattern, which gives it perfectly removes sound signal while effectively suppressing unwanted noise coming from the back side of the capsule. All the BEHRINGER company’s products, which is one of the largest manufacturers of musical equipment, are known for its quality and democratic price. For the manufacture of inexpensive microphone BEHRINGER XM8500, caps and transmitters, the BEHRINGER engineers use high-quality and high-tech materials that guarantee high-quality final. The microphone provides a sufficiently high output while effectively suppressing feedback. Frequency response ranges from 60 Hz to 15 kHz, provide a clear and transparent sound of the vocals. Pure voice and vocal performer on stage and in the home studio. Impeccable design and style from the company BEHRINGER (Austria). The maximum low level of sound distortion, even at high SPL. Built-in windscreen filter protects against the ingress of unwanted noise and breath of wind. Built-in damper capsule can effectively reduce the level of mechanical noise. Built-in on/off switch (optional with some models). Traditionally, high-quality microphone assembly guarantees its operation even with constant and daily use. Set of the microphone supply includes a holder for a microphone and a storage pouch. High-quality voice artist or leading through the use of high-quality microphone components. The wide frequency range of audible frequencies in the transmission range of 50 Hz to 15 kHz. Ability to use the microphone in your home studio, on presentations, show programs, and many other places. BEHRINGER XM8500 – is a budget choice for everyday use. The inexpensive vocal microphone BEHRINGER XM8500 is very popular among the vocal performers and those who are at home wants to get high-quality recording vocals without any extra costs. The microphone has a clear, lively sound and reliability. Unidirectional cardioid polar pattern capsule is well off all noises and off-axis coloration. This microphone is ideal for vocals in the style of rock, pop, country, rhythm, and blues, as well as for sound tools. In addition, to reduce mechanical noise, blasting vocal microphone is supplied with a damper a and built-in windscreen steel protective net. Device type: vocal dynamic microphone. Frequency response: 50 Hz -15 kHz. Polar pattern: cardioid, uniform frequency response. Output impedance: 150 Ohm (at 1 kHz). Specification: vocals, shows, concert use, home studio. Built-in damper primer for effective reduction of mechanical noise. Built-in windscreen: the protection of the sound path from the noise, breath, and wind. 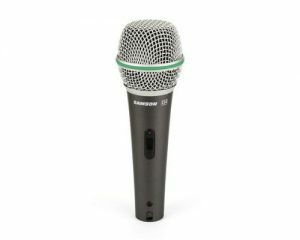 The microphone of a dynamic type, the model Samson Q4 boasts high accuracy and high-quality sound, it perfectly copes with any tasks not only on stage but also in the studio environment. cast body of high strength, a special protective mesh made of hardened steel. 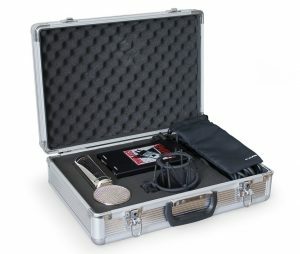 The delivery package includes XLR-type cable, a convenient holder for the rack-type microphone and an ergonomically designed case for comfortable transport. Frequency response: 80 Hz – 12 kHz. Sensitivity: 50 dBV / Pa.
Connector: gold-plated 3-pin XLR male. Dimensions: 54 mm x 170 mm. Portable Bluetooth microphone with a dynamic will be the highlight of any party. It is compatible with karaoke apps for Android and iOS. You will be able to perform your favorite songs by connecting the microphone to your devices with the help of Bluetooth or a cable. It has built-in modes Bass, Treble, Echo, Music, Volume. Frequency response: 100 Hz-10 kHz. Accessories: USB cable, 3.5mm audio cable, pouch. Compatible: with products Android, Apple. Power: built-in polymer battery 2200 mAh. Additional features: modes Bass, Treble, Echo, Music, Volume. Nady American Performer is the dynamic cardioid microphone created for performances on stage as a voice microphone. High-performance neodymium magnets provide a reliable clean sound even in the presence of noise outside the room. Cardioid polarity reduces feedback. The device allows to withstand high levels of sound pressure – up to 120 dB. Fully metal construction made of zinc alloy protects the inside of the device. Frequency response: 50 Hz-15 kHz (-3 dB). Sensitivity (1 kHz, 74 dB SPL): -55 dB V / Pa (4.5 mV / Pa). Included accessories: XLR six-meter cable. The microphone SHURE SV200-W is the dynamic vocal microphone, cardioid, which is released to replace Shure c608. Externally, the microphone SHURE SV200 is very attractive. It has a fairly strong metal casing, with a black coating that makes it durable and practical. Really the microphone SHURE SV200 has a button (on/off), which adds convenience to use and fairly light weight makes it comfortable, even if the singer would be a baby. This microphone opens wide opportunities for its use. This model of the microphone can be perfectly used at conferences, meetings, parties and home party, as well as in the presentations. The dynamic microphone can appreciate someone who loves karaoke. The advantage of the microphone is that the SHURE SV200 has the perfectly balanced sound and the clear readability of the midrange, allowing you to transmit perfectly the human voice with a lively tone. The microphone, having a focused direction of sound transmission, prevents unwanted sound, at the same time it is light and extremely easy to use and compact. The microphone kit includes a cable XLR-XLR of 4.5 meters, a holder for the microphone and a case that protects the microphone from mechanical damage (impact, fall), but it also protects from moisture and makes it convenient for transportation and storage. Includes: XLR-XLR cable, a holder for a microphone, a cover. The microphone perfectly conveys the recorded voice without any losses and blemishes. 20 Best cheap microphones (under 40$). 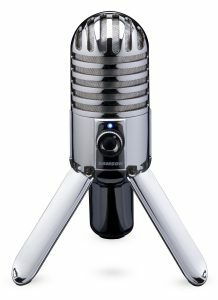 A universal studio microphone with USB-direct output for professional recording directly into a computer based on a studio microphone C01. The model provides the same sound quality but has a high-quality 16-bit ADC with a sampling frequency of 48 kHz and a USB output. Designed for recording vocals and acoustic instruments, as well as for the popular podcast. The microphone is connected to the USB port on your computer with Mac OS X or Windows XP and does not require separate drivers, and special Paget of a proprietary software supports WDM and ASIO standards and extends the functionality. C01U has a hyper cardioid characteristic, sounds smooth, clean and open, with a slight resonance in the middle, providing a good readability in the mix. The microphone has an indication (active) state. Frequency response: 40 Hz-18,000 Hz. Sensitivity at 1,000 Hz: -33 dBV / Pa. The maximum level of sound pressure at 1%: 136 dB SPL. Sampling frequency: 8 kHz, 11.025 kHz, 22.05 kHz, 44.1 kHz, 48 kHz. Small microphone Blue Nessie is able to defeat your fear before recording your vocals or musical instrument, providing a quality comparable with studio ones. Just connect it to your PC or laptop, to record a song in your performance, playing the guitar, voiceovers and more. Special technologies allow the device to adapt to the voice or the game using a professional audio processing with the help of the built-in DSP, pop-filter and an internal shock absorber, which reduces the sharpness of the loud sounds of speech, vocals or musical instrument. EQ and fader provide adaptive signal processing. The main feature of the device lies in the condenser capsule with cardioid polar pattern, which is typical for a studio microphone. Three audio recording modes are optimized for vocals, musical instruments and voices to store source code in RAW with further post-production. And the most important, what was not in its predecessor, Nessie can act in conjunction with the Ipad via Apple Camera Connection Kit. Record podcasts, vocals, comments videos on YouTube and get the tracks from the smoothed signal in which voice “explosions”, noise and vibration are offset. Frequency response: 15 Hz to 22 kHz. Weight: 0.64 kg (at the front). The ability to save audio in its original form and further manual editing. The presence of three preset modes for quick setup. 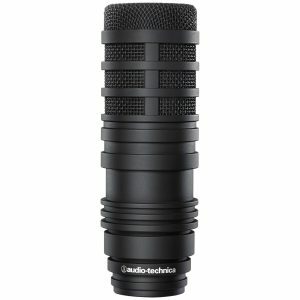 Cardioid microphone USB-AUDIO-TECHNICA will become an indispensable member of an audio family in your studio. High- quality sound provides a 16-bit A/D converter. A large aperture opens up opportunities for voice recording of a different pitch with preserving the original sound and the high quality. It includes microphone and monitoring function, as well as the possibility of connecting the headphones is taken into account that provides instant tracking of incoming sound without loss. The built-in amplifier allows you to record sounds of high-quality and volume. The microphone is compatible with many modern software. Convenient tridactyl stand and sleek design are also the qualitative features of this model of the handheld microphone. The presence of preamp with volume level. Analog-digital converter to guarantee sound parameters 44,1 16 bits / 48 kHz. The clear allocation of the main signal with the separation of extraneous noise due to the cardioid polar pattern. The presence of the option mix signal at the input to pre-recorded sound. This function makes it possible to use the microphone for karaoke and DJs. Headphone jack that allows the user, if necessary, to control the volume level of the microphone signal and adjust its value. Power is supplied from the computer via USB cable. Ability to work with computer programs to record audio. Can be mounted on the front-folding tripod. The configuration includes a protective case, USB cable length of 3.1 meters, the stand, the threaded adapter from 5/8 “-27 to 3/8” -16 and 5/8 rack adapters “-27. 16-bit A / D converter. Headphone jack with volume control, 3.5mm, the TRS stereo. Frequency range from 20 Hz to 20,000 Hz. USB connector for digital recording. Size: 162 x 52 mm (L x diameter). Compatible with the following operating systems: Windows XP / Vista / 7 or Mac OS X. 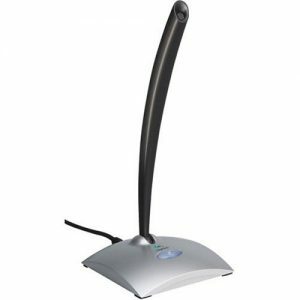 The microphone SAMSON METEOR with folding legs is designed for connection to a USB port.Its characteristic feature is the external design in a retro style. In the gleaming chrome case, there is a condenser microphone with 25mm diaphragm and the radiation pattern in the form of the cardioid. A definite plus of the microphone Samson Meteor is an excellent recording sound quality compared to other devices of the same class, extremely easy setup and appearance. In addition, the microphone can be used with the iPad and the Camera Connection Kit, turning the tablet into a portable studio of a podcaster. Driver installation is not required, you just connect the device to your PC. it features one of the largest aperture (25 mm), available in condenser microphone with a USB interface. Frequency response: 20 Hz-20 kHz. Signal/noise ratio: 96 dB (A), 120 dB max. Analog output for 1/8 TRS jack headphone. USB cable and carrying case are included. The sound quality is perfect. The microphone is quickly and easily connected to a laptop via USB. The presence of folding legs. This USB condenser microphone is connected through the USB port of the computer without the need for an external preamplifier. It can be used with a wide variety of computers, including desktops and notebooks, IBM-compatible models and the products of Apple. According to the manufacturer, the microphone allows you to record the “rich studio sound” which is not available when using the electret and dynamic microphones. Powered by the gold diaphragm and large low-noise electronics, which ensures high audio quality characteristic of studio microphones, which require recording the existence of “phantom power” of 48 V and the other specific studio equipment. MXL analog section includes a low-noise input circuit having a bandwidth of 20 Hz – 20 kHz, and 3-position switchable attenuator for gain control, which makes it easy to adjust the microphone for recording virtually any sound source. The digital part runs the 16-bit delta-sigma analog signal converter into digital form, performing the digitization with a frequency of 44.1 kHz or 48 kHz. The package includes a stand, USB cable, carrying case. 3-position switchable attenuator for gain control. USB 1.1 and 2.0 compatible. Frequency range: 20 Hz – 20,000 Hz. Dimensions: 47 x 177 mm. If the music you are creating requires the use of the acoustic instruments or voices, then the quality of its records completely depends on what kind of the microphones you use and how you use them. Even the good, cheap and simple microphone with the right installation can surpass its installed wrong expensive brother. Also, the way how you care for the microphones and equip a studio can significantly affect the success of the session. The correct installation of the microphones and a care for them – are the keys to getting a great sound. Some microphones have extremely distinctive sound – excessive proximity effect is too full of bass and etc. Such features may be useful in certain special cases but normally restrict the scope of the microphone. Therefore, it is better to choose the device, which sounds in regular intervals and apply a variety of ways of its installation to create the desired sound shade. Capacitor and electret microphones do not like the smoke of dust and humidity. Each of these factors can influence the sound quality and constant exposure to smoke and dust spoils the state of a membrane. Good sounding microphones are usually expensive, so proper care of them, keep your investments. Always carry the microphones carefully, do not throw them, remove them when they are not in use. Do not drop, and never slam the lid of the box with the microphone firmly so as not to damage the capsule. After the use, it is best to store them in a closed box padded with foam in a warm dry place. If you do not want constantly to pack and unpack, you can leave the microphones in the studio on the stands covering them with big bags to protect from dust. Dynamic microphones are not as dynamic and piercing at higher frequencies than the capacitor or electret microphones, but also differ a great capacity to respond to ill-treatment or a very loud sound of the instrument. If you want to get a warm and fat sound or to use the microphone in front of a loud source, a dynamic microphone can be a good choice. Condenser and electret microphones are more sensitive, not like inertia and mostly neutral in sound so that you will not regret if you choose a microphone for important nuances which are inherent in the sound. Condenser microphones with the membrane of the small size are usually more neutral and accurate than their condenser counterparts with a large membrane, which usually tend to stick out their sound coloration. The electret microphones can often be powered by batteries or by phantom power. If there is an option, then the phantom power is preferable. Firstly, such a variant will protect you from the problem of the low battery in the best part of your record. Secondly, the preamplifier will have a larger dynamic range and little noise. If, however, you need to work on the battery, remove it when the microphone is not using – thanks to this procedure the contacts are slightly stripped. The microphone is required a small current that even a light coating of corrosion on the battery contacts can greatly degrade the reliability of the preamplifier. After switching on, allow the condenser and electret microphones to warm up a few minutes before their audition. Preamplifiers inside the condenser and electret microphones are typically created with the expectation on a job with normal sound pressure. If you place the microphone very close to the loud source, the preamplifier may be overloaded, distorting the sound. Most condenser microphones have attenuation (pad attenuator) or plug-in dividers between the preamplifier and the capsule. If there is doubt in the overload capacity of the microphone, use an attenuator, because usually, it is easier to raise a quiet signal, than to get the distortion, which is not correct. Don’t forget to mute the channels on the remote control or the monitor when you change the position of the microphones, remove their cable or switch the microphone with the phantom power to the battery and vice versa. When installing the microphone on the stands with the crane never do it with fixed terminals, otherwise, they will easily become loose and will not fix the position. It is better to weaken all clips to the full freedom of parts and hinges to place the microphone at the desired position. Then, tighten all fasteners, starting with the bottom of the stand and finishing hinges of the crane. If the attachment is in a good state, you do not need a supernatural force, but only a hard twist, to be sure that the crane will not begin to slide down during the recording process. Probably, the most important thing to remember when using the crane struts – is to make sure that one of the three legs of the stand is located directly below the crane arm. This will ensure greater stability and prevent the structure from tipping under the influence of the considerable weight of the microphone. You will make your life much easier if you do not twist the microphone cable along the entire length of the stand, and make one rotation at the knee of the crane and one along the stand. This will make it easy to manipulate the stand position, and gently folded into the ring the rest of the wires ensure easy movement of the construction to another location, as well as the pulling of cables to the board or the connector of Multicore if the need of the rewiring arises. It is important to isolate the microphone from vibration and physical shocks, as the structural low-frequency noise substantially reduces the dynamic range. Be careful, because a few near-field monitors can play the sounds of a frequency lower than 60 Hz. So, if you see on the indicators the peaks, which are not heard in the monitors, then the penetration of the lowest frequency or structural should be suspected. It would be ideal to use a specially designed microphone suspensions, as well as to place legs of the stands on a cushioned surface. The purpose of the use of any sharply directed microphone is usually the separation of the main source of the sound from the side ones. Remember that during installation of the microphone and its targeting of the source it is more importantly from what you step back the microphone from than where you are pointing it. Imagine the radiation pattern in three dimensions and place the microphone so that unwanted sound will come to it at angles of the lower sensitivity. According to experts, the non-directional microphone often has a smooth sound and a wider band towards lower frequencies than directed. Because the non-directional microphone cannot suppress unwanted signals from sources, it should be installed at a distance somewhere in half less than for the directional microphone, in order to not to get a higher level of reflection of the room and of other instrument sounds. If you are a fan of scoring from close distances, do not write off the non-directional microphones – usually, they transmit sound with less color than the cardioids, so that the lack of playback of side sounds may be ignored by you. Do not forget that many models of the omnidirectional microphones with a large diaphragm tend to focus on the acute upper frequencies, so it is best to keep the sound source on the microphone axis. All directional microphones have the effect of approximation (low-frequency rise, which increases even more when approaching the sound source). This can be used as an advantage if you want to give warmth to the sound in a more natural way than using the equalizer. But be careful, zooming the microphone to a moving source, as the character of the sound will vary with the deviation of the source from the axis of the microphone. Dancing vocalists and swinging guitarists are not verifiable. 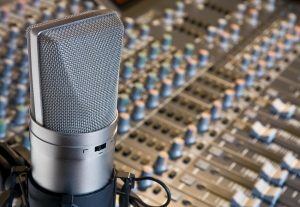 The quality of the recording also largely depends on the merits of your microphone. Following the principle of the best raw material – the best product, it is easy to understand that the better the microphones, the more precise and natural the future record would be. It is difficult to overestimate how important being in the studio, to listen to the sound source from all sides before deciding from what angle and distance to sound this source by the microphone. In some cases, moving the microphone just an inch can radically change the quality and character of the resulting sound. Proper placement does not guarantee a great record, but if you place the microphone incorrectly, you did not achieve a decent sound. Always try to find the right combination of installation, before you start twisting knobs of EQ. It will take you a little longer, but the results justify the means. EQ is designed for creative sound editing, but not for its creation, and namely, for the latter, you select the different positions of the microphone setup. Configuring and suppression of extraneous sounds by finding the point of installation and proper selection of the radiation pattern are usually much faster than setting up the noise-gates. Also, the sound is more natural, therefore, this scheme is more effective and more reliable. Do not forget that you can also reduce the penetration of outside noise, placing the instruments in the studio so that they influenced each other in the smallest way and the undesirable sounds always came to the less sensitive axis of the polar patterns of the microphones. The best method to check if there is enough separation between the microphones for sound level – is to listen to each instrument on the microphones in comparison to all others. The difference must be at least 12 dB from the normal level of the direct sound. If this does not happen – rearrange the microphone, select another polar pattern, move the instrument, or use the screen. If the above measures do not help, use the EQ and possibly noise-gate. After the session, try to analyze your mistakes so as not to repeat them the next time. If you are in complete indecision how to install the microphones, the most practical way – is to put the microphone at a distance from the acoustic source, which is equal to the greatest dimension of the latter. For example, in the case of the double bass, try to find the best position for scoring about 4 feet (1.3 m). Most acoustic instruments require such a space for the sound that all the elements of their sound will be developed and shaped in the right proportion. The too close position of the microphone makes audible mechanical noises from the fingers, the tapping of the valves or the creaking of bows and also distort the balance between the main sound and harmonics. The general problem of recording of vocalists, who are more familiar with the work on the stage than in the studio – that they are too close to the microphone, causing explosive noises, excessive hissing, increasing the bass level, and also create excessive moisture. In this case, it may help to use a massive windshield, but a stand-alone screen pop (a nylon stocking stretched over a frame) installed in front of the microphone at a distance of 8-11 cm will work better. An alternative to this process can serve the setting for the second microphone for the “eating”. Thus a backup can be a conventional dynamic microphone for stage work, in which the vocalist will sing. At the same time, the main studio condenser microphone you use to record should stand a little higher and approximately 12 cm for dynamic. You cannot connect a dynamic microphone, but if you decide to mix it with the sound of the main microphone, you can get an interesting and slightly aggressive sound. The vocal performance from the stage is different from singing in the street or in a room with your friends. It is obvious that this is not only because of the spotlight and a large number of legible audience. In this case, the microphone – is your faithful friend and ally! That it helps you to sing in such a way to make demanding spectators clap their hands. However, this is only possible with the skillful use of the microphone. So, before the performance test how well the microphone is mounted, check its contacts. Has the plug inserted into the socket? Test the sound — practice your tongue twisters, listen carefully to your voice. Along the way, your assistant will set the equipment to suit your voice. If you are going to sing on the scene, then work out to keep the microphone horizontally. Why is it important? The sound through the imaginary horizontal line will be perceived by the listener is much better than the sound coming from the sides. 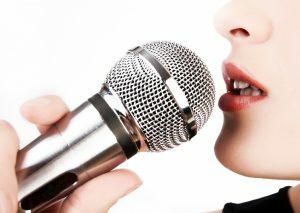 In the course of the song or speech, try not to turn away from the microphone to the side. Also, it is necessary to control your hand and do not swing the microphone by the sides. This is especially important because otherwise, the microphone sensing element will catch the other sounds and noises. DO you want it? As a result, the recording quality will be distorted, the howling of the columns begin to irritate the audience. How to hold the microphone correctly. Keep the microphone at 3-5 cm from your face. The maximum distance – 10 cm. If you keep the microphone further, then it will start to “catch” party noise, and your voice will be lost. If the microphone, by the contrast, is located close to the mouth, then the public will hear what they don’t have to hear: your breath, lips spanking and other questionable sounds. 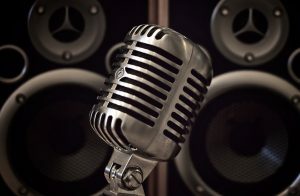 Therefore, practice in holding the microphone and in choosing the most convenient distance. With the experience, you will learn how to calibrate the sound of your voice: to zoom the microphone for amplifying and to zoom out to make your voice softer. This is a real art! The audience will certainly appreciate this game sound. Have you never sung into the microphone before? Then you will surely be surprised by your voice: it will sound strange! Get used to it. Train, exercise with the microphone in advance. As already mentioned, the special role the distance plays – pre-select a convenient and acceptable distance for you. For example, academic singing demands to take the microphone further, singing the high notes. If the song requires aggressive performance, you should choose the microphone that will withstand the sound pressure (at least 120 decibels).